This week marks the centenary of the death of suffragette Emily Wilding Davison after a collision with the King’s horse at the Epsom Derby. 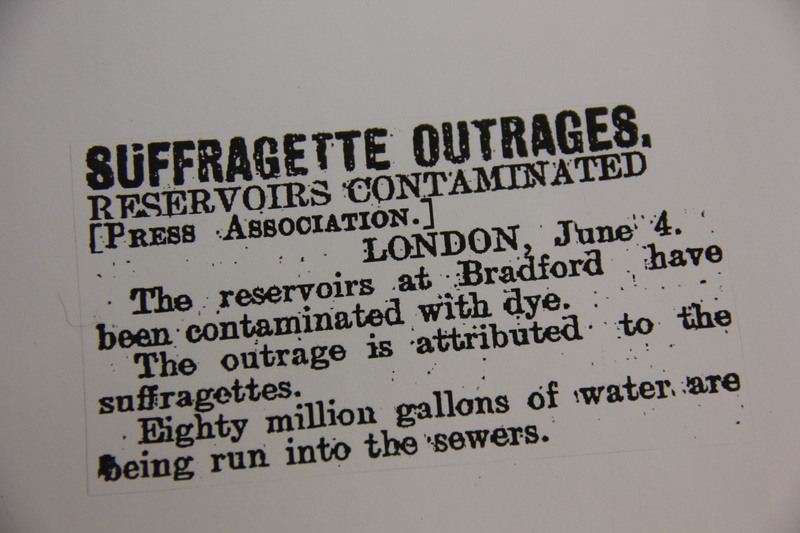 The first week of June 1913 also saw an event in Bradford attributed to suffragette activity with an interesting link to the dyeing industry. The Fabric of Bradford project is exploring the textile dyeing heritage of the city between 1800 and 1913 so this just fits in our timeline. The suffragette movement in Britain had become more militant in their activities in 1912, following the rejection of a bill that would have given women limited rights to the vote, originally supported by then Prime Minister Asquith. 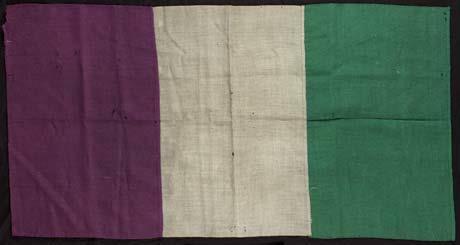 Bradford suffragettes were very active and earlier in 1913 had dug up the 2nd and 12th green at Bradford Moor Golf Club, replacing the flags with the purple, green and white flag of the Women’s Social and Political Union. The newspaper clipping shown above came from The Marlborough Express – a newspaper published in New Zealand – showing that this was quite a news story one hundred years ago.